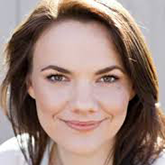 Erica Lovell is an experienced professional Musical Theatre performer, having worked with Opera Australia and the Sydney Theatre Company. She believes in holistic approaches to vocal tuition, where students learn to love and look after their own true voice, always working towards emotional truth and sound vocal technique. Erica is also a professional actor in musical theatre (Spring Awakening, A Little Night Music, Little Women, Ordinary Days) film (Cedar Boys) television (A Place to Call Home) and stage (Great Falls, Happiness), with credits with Australia’s best theatre companies, and a decade of experience teaching singing and drama. She was a delegate and master class singer for the International Congress of Voice Teachers in 2013. Erica’s students have been accepted into tertiary music programs, gained professional representation, won competitions and pursue careers as professional performers. Younger and beginner students are encouraged to explore their voice and style while developing safe technique to ensure longevity and enjoyment. Kid A Performing Arts Co. is an Epiphany arts program for primary school children. Epiphany Arts Inc. is a not for profit organisation.